What is your favorite Korean Drama Couple of 2016? Please choose your favorite K-drama couple and vote. 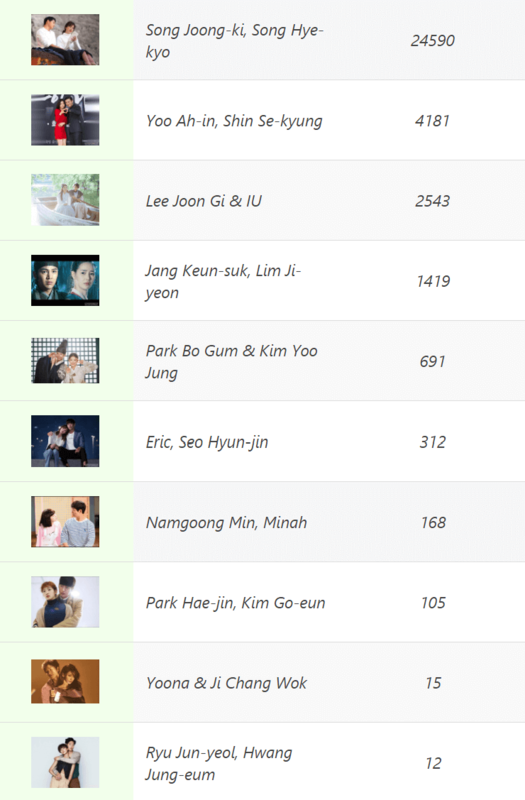 If the K-Drama Couple you want to give your vote does not take place in our list, Add by using Upload Button.